Posted by Gyaniz in Case Studies, Marketing, News You Can Use. Gillette’s newest shaving system has just one blade, a light plastic handle and a sharply lower price. The move by P&G is to aggressively push into emerging markets for new customers and growth. That focus is forcing P&G to be more modest on scale and more flexible on price. Gillette commands about 70% of the world’s razor and blade sales, but it lags behind rivals in India and other developing markets, mainly because those consumers can’t afford to buy its flagship products. The affordable Gillette Guard razor costs Rs. 15 and uses blades that cost Rs.5 ,in contrast to the Mach 3 blades that Gillette has been selling in India cost about Rs.100. Gillette Guard is aiming to lure users of double-edge razors, about 400 million men in India, according to P&G estimates. In India, a brand called Super-Max holds the lead in double-edge blades, which cost roughly 1.5 to 2 rupees, which is half of the cost of even Gillette Guard. The need to grow in emerging markets is pushing P&G to change its product-development strategy. In the past, P&G would sell basically the same premium Pampers diapers, Crest toothpaste or Olay moisturizers in developing countries, where only the wealthiest consumers could afford them. To reach more consumers, P&G changed course by creating pared-down products specifically designed to be less expensive, like Naturella’s extra-absorbent, cotton feminine-hygiene pads and Downy Single Rinse fabric softener, which requires less water. P&G uses what it calls reverse engineering. Rather than create an item and then assign a price to it—as in most developed markets—the company starts with what consumers can afford and then adjusts the features and manufacturing processes to meet the target. 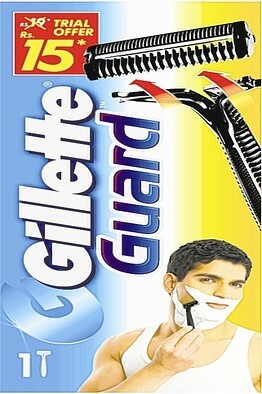 For Gillette Guard, the target was five rupees, about the cost of shampoo sachets or small tubes of toothpaste. The price takes into account not only consumers but the kiosk owners who serve most shoppers in developing markets. The lower cost will encourage more small store owners to stock up on the item, P&G hopes. To cut costs, P&G eliminated the lubrication strip and colorful handle designs Indian men weren’t willing to pay for. Though most men in the U.S. and Western Europe prefer a heavy razor handle, P&G found Indian men prefer a lighter weight, which also cut costs. P&G has a lot of ground to make up in India, where it estimates just 10% of men who shave use Gillette blades, compared with about 50% world-wide. Its plan is to get men to start using its products and then upgrade them as India’s economy grows. While MNCs have arrived with their internationally successful products, but the same has not been success all the time as the Indian customer’s palate looks for the product as well as the sweetness of its price to his pocket. Fortune at the bottom of the pyramid has tremendously caught on innovations like satchets, pouches, no frills, etc. to allow the customer the first experience of the product & brand which always was far out of his reach in the traditional selling mode & packaging. Looking at the industry figures, the Indian market is still largely controlled by a host of local players like Malhotra Shaving products but it is this segment which was still largely untapped by MNCs like Gillette that they ruled like kings. What I can see from here? A brilliant move to enter the strata which had never experienced your product, provide him with a brand & product experience and over a period of time upgrade him to your mainstay products which would not be too difficult task looking at the considerable rise in disposable incomes in India. This Battle will see the sharpest emerge the winner, afterall its blades & swords. Your views. One of the distinctions that marketers might often overlook is the segmentation of the market by the shaving choice: double edged blade (old school) or the new ones having blade one single side. If Super Max, Topaz and Laser are all old school blades then the market share is almost 30% for the old school double edged blades. Reason for that might be that the new razors need running tap water for efficient cleaning and shave. Dont forget marketers never create needs, needs preexist marketers. Not sure if the rural masses just need the good old double edged blades. Except for the Bump Fighter (which has a guard) and the old Wilkinson Bonded razor (not made for years), this is the first single-blade cartridge I know of. I’ve actually tried it, and I like the shave. It shaved well even with several days of beard growth. I should add that I’m in the USA, I’m not Indian, and I bought the razor from someone in India. I suppose that eventually some Indian grocery stores in my area could stock them. I use single blade razors almost all the time, so I wanted to check this one out. I know people who have removed blades from their multi-blade cartridges in order to shave with only one blade. I also like the fact that there’s no lubrication strip. I’d prefer the option of not having a pivot, but in practice, the pivot on this razor isn’t a problem. I’d also like a heavier handle, and I’m experimenting with filling the hollow part with something heavy and sealing it with epoxy. I already tried tiny stones, but they weren’t heavy enough. Next I’ll try filling another handle with metal, maybe tiny nails. I think of this razor as being like a very inexpensive stripped down (but comfortable) car that can easily go 80 mph on the highway. Unfortunately, the injector razor is no longer being made, and I doubt that many of them ever got to India. The injector razor has been around since the 1920’s. I think it’s generally at least as good as a double edge razor, and it has some advantages. its awesome, acutally i used this product at my friends place till the time i am look for that. Its really amazing. Finally i found it. i am happy to the better use. Thanks Gillette!!! Its works great, shaves easily without much efforts. I like it.